According to the federal government, about 207 of the homes will have rents "at or below 30 per cent of median household income in the area." The federal government announced funding for a new 16-storey building in Etobicoke on Thursday that will include 259 affordable rental units. According to the government, about 207 of the homes will have rents "at or below 30 per cent of median household income in the area." The development is currently under construction on Warrender Avenue in the federal riding of Etobicoke Centre, where the median household income is about $69,000 before taxes. Further, 10 per cent of the units will be accessible, the government says. The project, called Terraces of Princess Gardens, is being funded through the Rental Construction Financing Initiative (RCFI), which is administered through the Canada Mortgage and Housing Corporation. The program provides low-cost loans to developers at preferred interest rates to incentivize construction of affordable housing. Money for the RCFI comes through the federal government's $40-billion National Housing Strategy announced last year. The funds are set to be spent over a 10-year period. 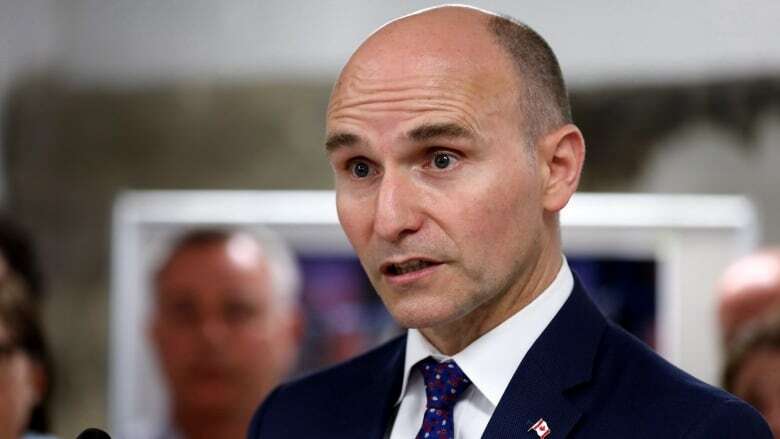 According to Jean-Yves Duclos, minister of children, families and social development, the development in Etobicoke represents the largest-ever investment made through the RCFI in Canada. Duclos was on hand to announce the project alongside MPs and Toronto Mayor John Tory. Princess Management, the company behind the construction of the building, says the $89-million-loan represents between 85 and 90 per cent of the capital costs of the project. A previous version of this story identified the development company behind the project as H & R Developments. The government later stated the company is in fact Princess Management.